Hey Everyone! Hope you are all having a lovely weekend so far. I've decided to set this weekend aside purely for blogging as I have so many ideas in my head and a fairly reasonable amount of time off. I am back to work full time from the 1st of next month so I'll barely have any time off which is why I want to get as many posts written up in this period off. 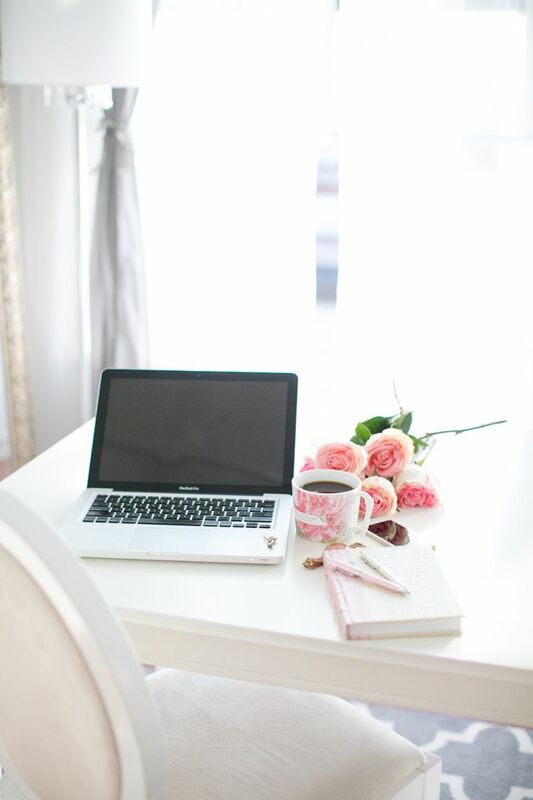 Bloggers who manage to blog as well as work full time...tell me your secrets? Anyway today I wanted to do a bit of a light hearted post. Recently I've been talking a lot about my blog to people at work and their reaction has been absolutely hilarious so today I thought I'd do a post talking to you about things only us bloggers will understand. Enjoy!! - Going to an event or out to a beautiful place and not having your camera to take photos and blog about it. Like why am I even here then? - The struggle for the perfect selfie/outfit shot. Yes us bloggers will pose in pretty much every position you can think of which can cause injury until we are completely satisfied. - When people ask you what a blog is. 'So you write about make up online'. Yes. 'And people actually read it. 'Yes'. 'Why? '....And that's when the problem starts. 'Because people prefer to hear honest opinions from people who buy the products rather than read magazines where people are paid to big up a product even though it may be rubbish'. But why do we still have magazines then. Question after question after question sometimes every single day! It can become quite exhausting. - Getting the perfect instagrammable meal at a restaurant and trying to take the perfect shot or the perfect cup of coffee and having to post it to every form of social media before actually eating or drinking it at which point it's normally cold and puts us in a bad mood for the rest of the day even though well...it was our own fault. - Putting on an awesome outfit that looks great when you look in the mirror but poo when you're actually trying to take photos of yourself in it. Why...just why?! - When you post something to instagram and other people start coming and having a random conversation about it...in another language! It's times like this I really wish instagram had a translate button! - Waking up early on a day where it is a beautiful day and there is perfect lighting. Yay for being able to take hundreds of pictures for my blog in advance! Good light in the UK is definitely a rare thing, especially now winter is creeping in on us! - Having people secretly think you're vain because you take hundreds of selfies of yourself and post them onto the internet! I didn't look the same last week as I do today okay?! - Having the postman actually know you by name and when you're in due to the amount of packages you receive throughout the week....erm....oops? I don't have a shopping addiction I promise! - When you hit a new milestone on bloglovin and get super happy that people automatically think you're in it to gain fame! No! But having almost 1600 people read my blog and are actually interested in what I have to say about different things is pretty damn amazing thank you very much! Go and be an unwanted rain cloud elsewhere please and thank you! - Struggling with writers block every day all day and then suddenly having a billion ideas enter your head at once at like 1AM. Well I guess I won't be sleeping tonight! - Getting emails from PR companies wanting you to trial and test their latest ironing board because it 'fits in with the theme of your blog'. Yes an ironing bored definitely fits in with a lifestyle and beauty blog. - Always getting worried about promoting your blog on social media as you're constantly in fear of being known as the 'spammer'. I promise you I'm not, I just have a new post that I would like people to read. - Having at least a dozen posts saved in drafts that have been there for months because you just do not know how to word them properly or are in constant fear of getting judged because you've chosen to talk about a topic that's not seen much on the blogosphere. - Taking a million photos for a post, going to edit them and seeing that only one has come out decent. Just why?! - Shopping purely for the purpose of blogging becomes a thing. And I'm not just talking about things to blog about. Yes those flowers will look lovely in the background when I take that photo. Oooo I must have that marble wallpaper as it'll look amazing in photos. - You start to call other bloggers you've never met your friends purely because they do not judge you and have very similar outlooks and interests as you! Yay for team internet! - Blogging is constantly on your mind. It's literally a 24/7 thing and something we cannot switch off from no matter how hard we try. - Portable phone chargers become a must have item purely because of the amount of time we spend on our phones due to taking blog photos, reading blogs, tweeting and other things that make us seem like we have an unhealthy addiction. - You forget what having a ton of phone memory is as you never have any space for anything thanks to perfecting that instagram shot. Oops. - Blogging will be become a place you can go to when you're feeling down. You will meet so many new people with the same interests as you who will want to speak to you about different things and not judge you! I have come across and met so many amazing people since I started blogging and I wouldn't change it for the world. So there we have it. Just a few things that I know only us bloggers will understand. It can be a tough old place at times but looking back at these things has definitely made me laugh and giggle a little bit as it's also a place where friendships are made and where people always have each others backs. I love blogging and the community and everything that comes with it and I definitely wouldn't change it for the world. Can you think of anything else to add to this list? This post is so true! I can relate to so many of these, and when I read things like that I feel better about myself haha. I feel so helpless when I go somewhere cool and I can't take photos, because it could be something nice to share with people. I always get asked by family members on why i would "bother" writing my diary on the internet for everyone to read! It miffs me off. 'The struggle for the perfect selfie' - literally have had to crop my massive forehead out of every selfie I've ever taken. If I ever go to a blogging event no one would even recognise me! I love this post so funny! Amen to all of these!! I definitely get really annoyed when I go somewhere really awesome and don't have a decent camera with me to document it :( Awesome post! I love this, extremely relatable! Absolutely agree with all of this!! Especially the thought of people thinking you are spamming on social media, when you just want to promote your post! It's hard trying to find that balance. I cannot really think of anything else to add to the list, or maybe just the feeling you get when one of your readers wants to send you something, a gift for the difference you made in their lives That is an awesome thing that us bloggers are lucky enough to experience. I am sure you can relate! Anyway, I loved your post, it is straight to the point and covers exactly what it is like for a blogger. Yes! This! All of this! I started a YouTube channel like three months ago and my life has turned into nothing but social media. Like I'm laying in bed next to my boyfriend. I put on a boring movie so he fell asleep early, so I'm using the opportunity to catch up on work, which means reading your blog and yeah. BTW, I do work two jobs in addition to vlogging, and my secret is basically just making sure I'm on top of everything always. I stay ahead on housework and videos and blog posts as much as I can, and I make sure that my free time is spent nourishing my relationships with my really close friends (like said sleeping boyfriend!) so I always have someone to talk to who can give me ideas and inspiration and motivation. Your blog is a priority, but the people you love are going to be the ones who keep adding kindling to the fire.